Wladek Walukiewicz graduated from Warsaw University in 1971 with an M.S. in Physics and from the Institute of Physics Polish Academy of Sciences in 1974 with a PhD in Solid State Physics. From 1974 to 1982 he worked for the Institute of Physics. During that time he was a frequent visitor at the Massachusetts Institute of Technology where he conducted studies on electrical and optical properties of compound semiconductors. 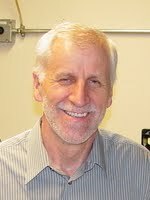 In 1984 Dr. Walukiewicz joined Lawrence Berkeley Laboratory as a staff scientist. He currently holds a position of senior staff scientist, principal investigator in the Materials Sciences Division, and deputy Program Leader of the Electronics Materials Program. Dr. Walukiewicz’s work covers a broad range of topics in the physics of semiconductors. He has developed models of electronic transport in three- and two-dimensional systems. He has made major contributions to understanding the defect properties of semiconductors. Working with a group of collaborators Dr. Walukiewicz has discovered highly mismatched alloys, a new class of semiconductor materials. In his most recent work he has shown that the band gaps of GaInN alloys perfectly match the solar spectrum offering a potential material system for high efficiency, multijunction solar cells. Dr. Walukiewicz has published over 200 papers, review articles and book chapters. He is a co-inventor on several patent applications. Recently he co-edited a special issue of “Semiconductor Science and Technology” on the properties of group III-N-V alloys. Copyright(c) 2007-2011 Solar Energy Materials Research Group - all rights reserved.